This eight-hour course utilizes our state-of-the-art shoot house. This program focuses on the fundamentals of marksmanship and self-defense with a firearm, in addition to situational awareness and defensive plans of action. Students will learn use of cover, threat assessment, and how to tactically navigate home and office. 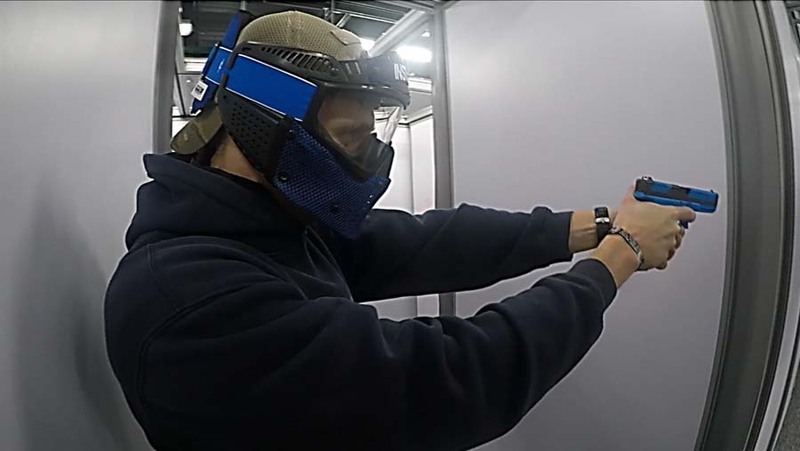 This program also incorporates Force on Force reality-based training with scenarios in the shoot house that will enable students to practice and refine their defensive plans of actions. Prerequisites: ESS Basic Pistol/Concealed Carry Course or ESS Instructor approval and the ability to pass a criminal background check. To ensure you meet the prerequisites for this course, please email copies of your Driver's License and Concealed Carry Permit to [email protected]. Price: $250 (non-refundable). If you do not already have a Range Card, there is an additional $10 fee for range orientation. Must be 18 or older to take this course.